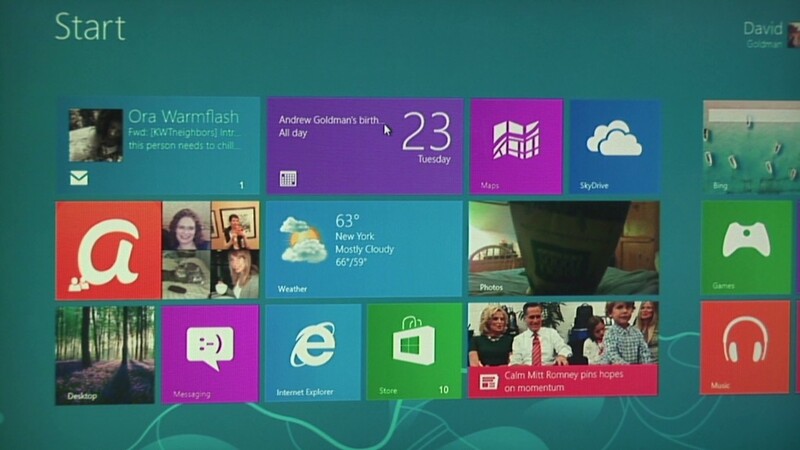 Microsoft says its forthcoming Windows 8 'Blue' update will fix some of the biggest gripes with the operating system. Windows 8 has been a financially successful but rocky transition for Microsoft. The company said Tuesday that it has no regrets about the major changes it made to Windows, but it is working to fix some of its most glaring mistakes. Microsoft (MSFT) has sold 100 million Windows 8 licenses since the launch of the completely redesigned operating system in late October 2012. Windows sales were relatively flat last quarter -- no small achievement during a period in which PC sales were in a tailspin. Still, Microsoft acknowledged that early complaints about Windows 8 are loud and legitimate. "We need to work to address a real learning curve with Windows 8," said Tami Reller, chief financial officer for Microsoft's Windows division. "That's a big challenge for us." Many users have found the new operating system difficult to pick up. Some of the top complaints: The lack of the "Start" button that had been around since 1995, hidden menu items and multiple locations for settings. More than 2,400 different devices now run Windows 8, but many still lack touch capabilities that make the operating system really shine. The Windows 8 device lineup is also scant on smaller tablet options, including the seven-inch and eight-inch varieties popularized by the Apple (AAPL) iPad mini and Amazon (AMZN) Kindle Fire. Microsoft said it has a plan to address all of those problems. Here's the biggest piece: The company will launch an update to Windows 8, codenamed "Blue," by this year's holiday season. Microsoft was skimpy on details, but rumors include the return of the Start button and changes to make apps easier and more intuitive to use. The company said it will reveal more about that update in the coming weeks. That's a change from Microsoft's attitude back when Windows 8 first launched. In October, Microsoft claimed that its users would enjoy the experience of learning a new operating system. The company's market research indicated that customers didn't want to be given too much instruction before diving in, so Microsoft simply told users where the new menus were located and let them figure the rest out on their own. Though some have characterized the forthcoming Windows update as a reversal, Microsoft said it is simply responding to feedback, while sticking to its commitment to modernize its software -- despite the complaints that kind of radical move usually sparks. "We always reserve the right to get wiser," Reller said in an interview with CNNMoney. "We have to be principled, but we're not going to be stubborn." Giving users more instruction improves their confidence, even if it's technically not the best way to learn a new operating system, she added. 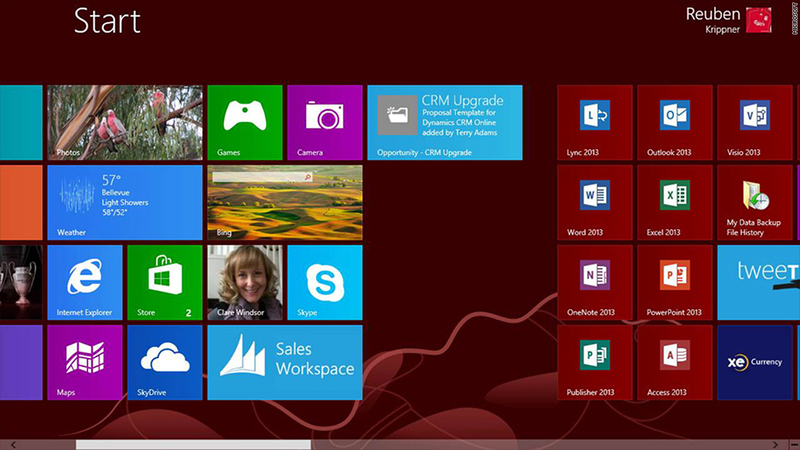 Some analysts who have been critical of Microsoft's approach to Windows 8 think Blue will be a welcome change. "If you drop a frog in a pot of boiling water it will jump out," said Jeff Kagan, an independent technology analyst. "However, if you drop it in a pot of room-temperature water and turn the heat up, bit by bit, it will eventually cook. You can't change too much, too quickly without customer push-back."